Case Communications Repair Centre provides a range of services designed to keep your communications systems operational. Our Repair Centre contracts are designed to provide you with the flexibility required to integrate our repairs services into your own organisation. For most of our clients, communications systems repairs are not their core business, we aim to make the logistics of systems recovery and repair as transparent and straightforward as possible, leaving you to focus on your core business.A dedicated logistics manager and technical support contact ensures that clients’ specific requirements are met, during the repair process and during the warranty period which follows the return of the repaired equipment. All non-contract repairs are undertaken on a ‘no-fix, no-fee’ basis. If a device or system proves to be beyond economic repair, we will advise you and either return the unit, or dispose of it ethically.Remember, we don’t just fix Case Communications’ hardware, but also hardware from other manufacturers too! Our end-to-end repairs management enables our clients to out-source the logistics involved in ensuring that systems are returned to the repair facility, repaired, tested, and returned to stock.We recover, service, maintain and where required, store spares on behalf of clients until the hardware is required. On request, we either despatch the item by courier, directly to where it is required or to our client’s field stores. Case Communications are able to offer a replacement service as part of the repair procedures. 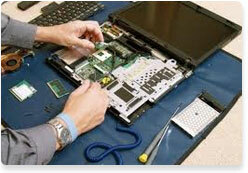 This means that if we are unable to repair the item, we will swap it out and return a functional tested unit to you. Keeping your communications systems at the latest modification level, firmware and software versions not only provides clients with more stable solutions, it also makes systems easier for us to support.Case Communications Repair Centre offers software and hardware audits, refreshes and updates as an additional part of the service. All repairs carried out by the Repair Centre are covered by a 90-day ‘return-to-base’ warranty as standard. While this suffices for many of our clients, for volume repairs longer warranty periods are available.